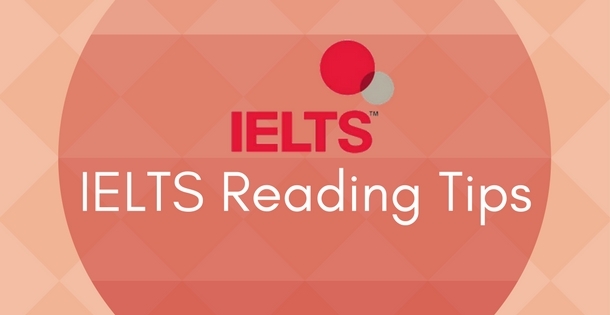 One of the main difficulties experienced by candidates doing the IELTS Reading test is they do not have enough time to complete the test. It is, therefore, essential to read both efficiently and effectively. There are a few main skills that you will need in order to do well in the IELTS Reading test. It is useful to apply the following hints for each passage that is given. (a) Study the passage by noting: titles, subheadings, illustrations, diagrams, any print in boldface or italics. (b) Study key parts of the passage by skimming. Skimming is reading fast to get the gist or the general idea of the text. There are different techniques of doing skimming. You can run your eyes over the passage getting the general meaning, not stopping at words that you do not understand as this will slow you down. The important thing with skimming is speed. You could just read the title/heading, subheadings and illustrations if there are any. Another way to skim is to just read the first paragraph which often focuses on the main idea. The first sentence of each paragraph is usually the topic sentence which expresses the key points of the paragraph. Generally, the concluding paragraph provides a summary of the given passage. An important part of “comprehending” a given passage or part of a passage (a paragraph) is to understand its theme. A theme is, in fact, the main idea or concept. If a reader can locate and/or understand the theme or main idea, then comprehending the rest of the passage becomes a lot easier.